Whey Protein Concentrate, amino acids in an ideal balance for growth, natural and artificial flavor powder, malted milk, sucralose, sodium. 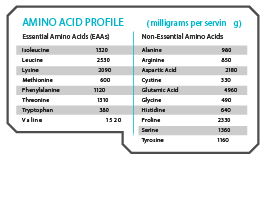 All amino acids are naturally occurring in the Whey Protein Concentrate. 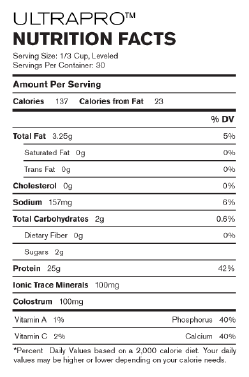 ULTRAPRO™ Low Carb Protein Powder comes in chocolate, vanilla, and strawberry. Tastes great and makes a real difference in your weight loss. A lifetime to success defines the life "the Legeend Larry Scott" His Historical accomplishments in the body building world have been fueled by pure passion. On top of Larry's 6 titles, he is also the recipient of two different Lifetime Achievement Awards.